Taking part in live auctions via the internet is not as complicated as it may sound. If you have already seen the action in regular auctions, it is highly likely that you are also familiar with how these things go. But on the other hand, those who are new to live online auctions may need to learn some of the basics which may come in handy as they bid. More often than not, live auctions sell items as they are. If this is the case, it is vital for you to learn everything about the items you want to bid on before you commit. It is also important to remember that live auctions are actually synchronized with in-person live auctions so as the auction date approaches, all sellers and their personnel will be very busy. For that reason, it is imperative that you ask all the questions you have to clarify the facts about the products you intend bidding on. With the advent of the internet and various communication platforms, live auctions have also increased in popularity. 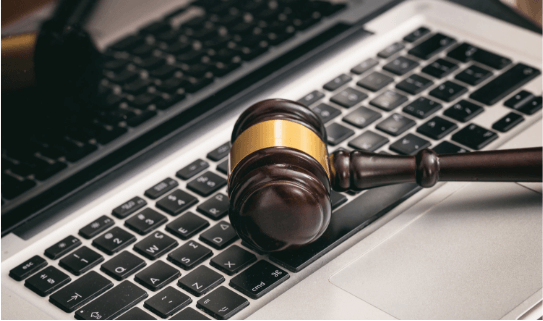 With thousands of people taking part in live online auctions, it is time to learn the common terms used at these events. Whether it is a live online auction or an in-person auction, auctioneers are qualified personnel tasked to call out lots and ask for bids. Basically, they are like referees and select whose bids to accept. Sometimes, these people are also the ones that organize live auctions or may represent the seller and in these events, these terms are often used interchangeably. A buyer&apos;s premium is a commission or percentage that many auction houses or auctioneers add to the total amount of the winning bid. More often than not, it is a bid’s percentage that may range anywhere from 12% to 20%. On live webcast auctions, the buyer’s premium will be registered for each lot. Although some auctioneers and auction houses do not charge buyer’s premium, others may have varying premiums according to the item that is being auctioned. When an item for auction is placed on reserve, the seller has placed a specific amount of money that must be reached before he or she would consider selling it. This means that even if the bidder has the highest bid in the auction, the sale of the item on auction will not be completed until it reaches the target amount. No Reserve or NR on the other hand means that regardless of the amount of the bid, the item will be sold. There are many types of auction catalogs but in general, these catalogs are mainly registries or directories of listed items for auction. Depending on the type of item being auctioned, these can be listed as groups of items or individually. Each listing in an auction catalog is called a lot. For live auctions however, the catalog can be viewed by clicking on the auction’s details. The highlights for every catalog is displayed on the auction site’s front page and it will provide key information about the item and other important information relevant to the auction. Getting through the confusions of online live auctions is often a lot easier when you start with the basics. If you have been to one of these events, you may have noticed that online catalogs often contain tons and tons of items for auction. It will be very laborious for auctioneers to upload comprehensive details for each lot which is why most auction sites often upload concise descriptions on their auction pages. For example, you are planning to bid on a particular item of industrial equipment. You want to know specific details about the said equipment but it is not listed on the auction catalog. When this happens, you need to contact the auctioneer for clarifications. It is prudent to just follow your instincts and put your common sense to work. Queries that you would usually make while shopping are an ideal starting point when asking inquiries about live auctions. When doing a live auction, it is quite difficult to assess the item’s condition just by looking at its photos. But as a prospective bidder, you have the right to ask auctioneers to post additional photos of the item or make an inquiry about its condition. This is very important especially if you are buying used industrial equipment. Although you are at a live auction, you may still want to see how the equipment was refurbished. This way, you will be able to know if it was clumsily repaired or the seller did a wonderful job in reconditioning it. You may also contact the auctioneer to find out how they evaluate and grade their auctioned items. A Very Good rating from one auction site may mean Excellent from another. Even if such classifications are often based on the perception of the individual, there are several things that auction sites look for in order to grade every item they list like normal wear and tear and other factors. It is important to read the fine print and know more about the premiums, deposits and general terms of the auction. Live webcast auctions are required to list the terms for each item for auction. Before you start bidding on a particular item, you need to read these terms so you can understand your obligations should you have the winning bid. Normally, live auctions require winning bids to pay a certain amount of premium. Some auction sites may charge a higher percentage so you will want to ensure you know what you need to pay in order to determine the amount of your bids. There are live auction websites that also require participants to place a refundable deposit. Should you win a bid, your deposit will be deducted from the total amount you need to pay them. And while you are at it, this may also be the perfect time to assess the shipping policies of the seller. Shipping is not commonly offered by most sellers although there are some that may offer depending on the size and type of the item. If you are bidding on live online auctions, make sure you understand the auction site’s policy on how many days they will hold your purchase if you are planning to pick it up yourself. Terms and policies often vary on each item for auction so make sure you read the fine print and contact your auctioneer or seller if you have any questions. Finally, you are ready for some action. You have asked the right questions, done your research, know exactly how much you want to spend and have registered your account. But you may be wondering what to expect from these live webcast auctions and how you are going to place your live bid. When you decide to join live auctions, you may first want to mark your calendar and your login details. This is pretty obvious but you would be surprised to know how many live bidders forget the date of the auction or get confused about the time. If you are not placing an absentee bid, you need to be present online once the live auction commences. Most auction websites often have countdown timers that show the remaining time before the actual auction. Once the auction is live, click on the specific button so you can join the auction. Once you are in the auction, you need to familiarize yourself with how to navigate the live auction screen. A new window usually appears that features the live auction and depending on the seller, there may also be a live audio or video feed of the event. There will also be several columns that will provide you with information about what is going on in the auction. Usually, there are hundreds of auctioned items posted during a live auction. This is now the start of the waiting game because you might wait for a certain period of time before your lot comes up. Nonetheless, do not leave your computer for too long because depending on the number of participating bidders and the quality of the auctioned items, lots can go a lot quicker than you imagine. This usually happens particularly when a lot is closed prematurely because there is an unopposed absentee bid or nobody bid on the item. Seeing how other bidders place their bid may prompt you to reconsider your own bid. You may also find other interesting items that you really want to bid on. Logging in ahead of time may prove beneficial for you to make sure that everything is in good working order and you still have time to fix any hiccups that may arise before the bidding starts. Always remember that before you can join live bidding online, you must first be registered, logged in and approved by the auctioneer. The process for approval may vary from one auction site to another so make sure you complete this before the actual bidding time. Once your auction screen goes live, you will see a bid button along with the current auction price. If the amount is acceptable to you, click on it and wait to see if other participants outbid you. This process will continue until a winning bid is announced. Live auctions are fun but most importantly, they provide you with an opportunity to buy an item at the price you deem reasonable.